The Sims FreePlay Brings The Complete Sims Experience To Android For Free – Download Now! The Sims is one of the most popular video games series today. Starting from the PC in 2000, the life-simulation series has made its way onto consoles, portable consoles and even mobile devices such as iOS/Android smartphones/tablets. 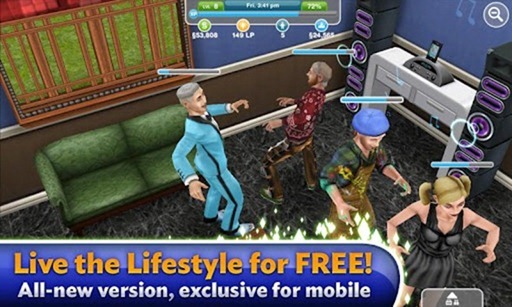 The latest release in the series – The Sims 3 – already has a version on Android, but EA has today released a completely free to play version called The Sims FreePlay with similar features. Check it out after the jump! We’ve tested The Sims FreePlay on a Samsung Galaxy S II on Android 2.3 Gingerbread and can confirm that it works as advertised. 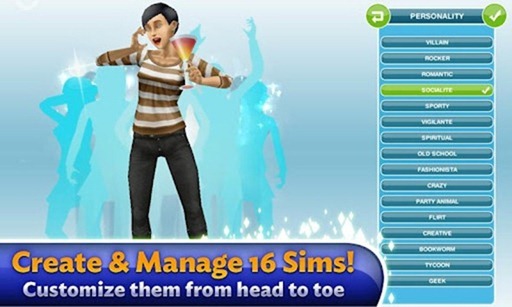 The game successfully recreates The Sims’s experience on Android. Everything you loved about it on the PC is here, albeit in a smaller form because of Android being a mobile platform. If you’ve played a Sims game before, you already know what to expect. 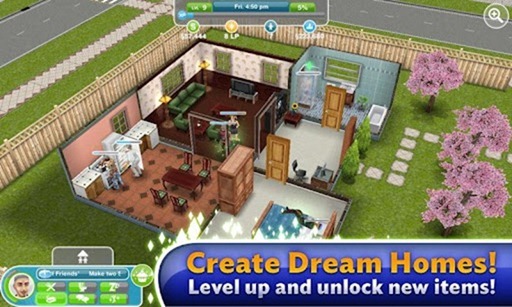 When you launch the game, you can create your own customized Sim which you can put in your own customized house or, of course, start with pre-made Sims and buy them furnished house. Your goal is to ensure that your Sims live a happy life by conforming to their needs (such as Bladder, Hunger, Hygiene, Entertainment, Social etc. ), getting them into a career, earning “Simoleons”, buy nice things from it to improve their lifestyle, complete short goals to boost your Sims mood. The Sims FreePlay is a fun game to play on the go and we highly recommend to everyone who has a supported phone. You can download its installer for free from the link embedded below. To actually run the game, you need to download 600MB+ worth of files. You will also need to be constantly connected to the Internet to play the game. Be sure to let us know what you think of The Sims FreePlay in the comments section over on our Facebook and Google+ page!